Book Review: 'Gingerbread,' By Helen Oyeyemi Helen Oyeyemi played with fairy tale ideas in the past; her new novel takes off from "Hansel and Gretel" for the story of a mother, a daughter and a mysteriously powerful family gingerbread recipe. British author Helen Oyeyemi wants you to know that you're never too old for fairy tales. She's made a career out of writing books that draw on the folklore that we all read as children — her 2011 novel Mr. Fox drew on the British fairy tale of the same name, while her 2014 book Boy, Snow, Bird found its inspiration in the story of Snow White. In her new novel, Gingerbread, Oyeyemi turns her eye to the story of Hansel and Gretel, the classic German fairy tale about a brother and sister who make a violent escape from a witch's house. Her novel isn't a retelling; rather, it approaches the story with the sly obliqueness that's become one of Oyeyemi's trademarks. And just like her previous books, it's both stunningly beautiful and breathtakingly original. Gingerbread tells the story of teacher Harriet Lee and her daughter, Perdita, both of whom are stubborn and mysterious in their own ways. Harriet is kind but hard to know; she's tough, but "if she has an aura, it's pastel-colored." Her teenage daughter is a loner, "careful with her words" and "neither liked nor disliked by her classmates; she is merely disregarded." Harriet is desperate to join the ranks of the PTA at her daughter's school; she tries wooing the members with her famous gingerbread. Her take on the treat "is not comfort food," Oyeyemi explains. "There's no nostalgia baked into it, no harkening back to innocent indulgences and jolly times at nursery. It is not humble, nor is it dusty in the crumb." Harriet learned the recipe from her mother, Margot, and passed it down to Perdita. The novel takes its first dark turn when Harriet comes home to find her daughter at death's door; she's prepared and eaten a batch of gingerbread with a mysterious ingredient that nearly killed her. Perdita insists that it wasn't a suicide attempt — rather, she says, she ate the tainted treat in an attempt to visit Druhástrana, Harriet's home country, which, strictly speaking, may or may not actually exist. Perdita tells her mother she'll recount her trip to the mysterious nation, but only if Harriet tells her the story about how she and Margot escaped Druhástrana and moved to England. Harriet complies, egged on by her daughter's four bossy talking dolls. And that's when things start to get weird. Trying to summarize the plot of Gingerbread is like trying to describe a strange dream you had — it's nearly impossible to put something so odd and compelling into words that will actually convey the experience. Oyeyemi's novel features gingerbread shivs, a peculiar, wealthy family, and a mysterious character named Gretel who serves as a sort-of friend to Harriet. Calling this book unconventional would be a massive understatement. And yet Oyeyemi not only pulls it off, she does so with flying colors. She has a gift for getting readers to not only suspend their disbelief, but to throw it out the window entirely. A hugely gifted storyteller, Oyeyemi writes with an infectious glee — take this description of two young lovers in the throes of passion: "He kept trying to talk but she kept kissing him, and she tried to talk but he kept kissing her, but eventually they were able to hold off ... though she and Gabriel kept very close together in case of urgent kiss deficiency." She has a gift for getting readers to not only suspend their disbelief, but to throw it out the window entirely. Oyeyemi is a master at pacing; it's hard to put down Gingerbread for even a second. That's not only because of her gift at building suspense, but also because she makes the reader fall in love with her characters. It's impossible not to feel for both Harriet and Perdita when the mother keeps vigil at her daughter's hospital bed: "The night passes slowly, as it must when your wish is that another's won't come true. Perdita has done her best to unmake herself, but they won't let her." Many authors have turned to fairy tales for inspiration, but their novels are often underwhelming, just retreads of well-worn stories that we've all read a thousand times. 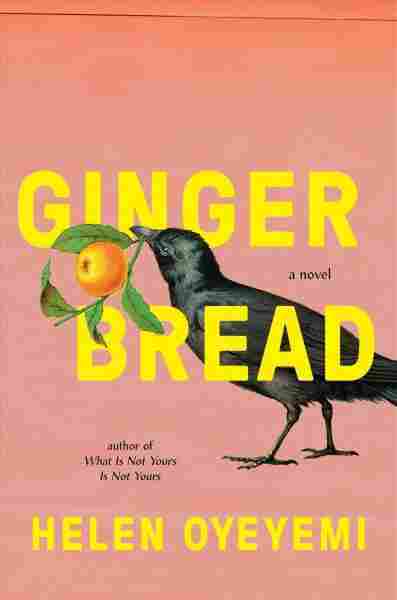 Gingerbread is the opposite of this — while there are echoes of the Hansel and Gretel story in the book, Oyeyemi takes it in several unexpected directions. Her imagination, it turns out, is as boundless as her talent. Literary fiction is often knocked for being dismal and cynical, but Oyeyemi proves that it can just as easily be life-affirming, charming and just plain fun. Gingerbread is an enchanting masterpiece by an author who's refreshingly unafraid to be joyful, and it proves that Oyeyemi is one of the best English-language authors in the world today.